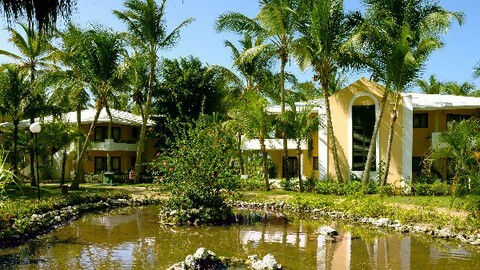 Bavaro Princess All Suites Resort, Bavaro Beach Punta Cana. resort serves as a paradise for its guests. Find Bavaro Princess Punta Cana in this All Inclusive Resorts Map! 590 fully equipped Bungalow Suites, and 40 Honeymoon Spa Suites, Bavaro Princess is destined to pamper your senses and fulfill your fantasies. Bungalow Suite: Each suite features a mini bar, telephone, safe, and a luxurious bathroom with all the modern amenities. 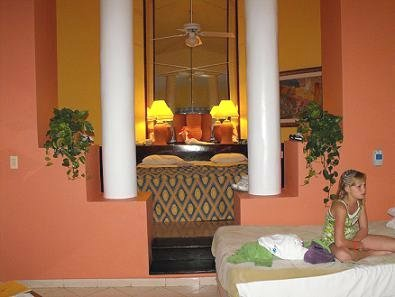 Junior Suites: These are located in the main building and offer amenities such as mini-bar, cable TV, telephone, electric coffee machine, safe, air conditioning, and modern bathrooms. Honeymoon Spa Suites: “Keeping it private” will get defined through your stay at one of these grand villas. A romantic dinner at the beach, a passionate massage session, and some moments of playfulness in the Jacuzzi, will all add up to mark a memorable start of your conjugal life. A surprise gift may go a long way to keep your festive spirit active. Platinum Suite: These suites come with modern bathrooms, television, stereo CD, spacious living and dining areas, and a bar with alcoholic drinks. Check out this Bavaro Princess Hotels brochure. This brochure is full of useful information and pictures of the different Princess properties. Bavaro Princess All Suites Resort brings you the opportunity to tickle your taste buds with a wide variety of cuisine and food choices. These restaurants request guests to observe dress codes. It is mandatory to wear T-shirt and shoes and you will not be allowed to enter if you are wet. 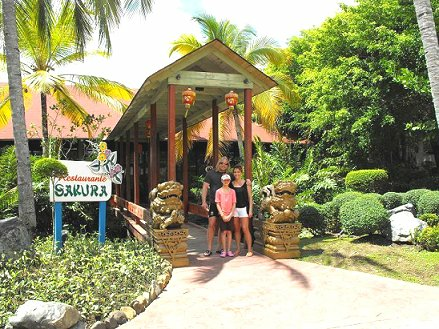 El Gaucho: This is an Argentinean style steak house located on the beach. It serves buffet breakfast and buffet lunch, but you can make prior reservations for an a la carte dinner. 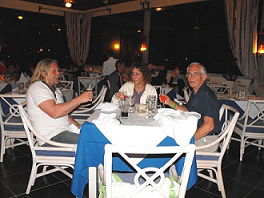 Bella Pasta: This air-conditioned restaurant serves Italian food and it is located on the beach. You may order special diet or vegetarian menus. Dining hours: 7:00 pm - 11:00 pm. Chopin: Located at the center of the mangrove lake, the restaurant offers something more than fine delicacies. A live piano concert on board a boat around the lake will make your evenings memorable. Gourmet buffet dinner with open kitchen and the availability of special diet and vegetarian menus are its forte. Dining hours: 6:30 pm - 10:00 pm. El Pescador: This seafood restaurant specializes in serving delicacies prepared with fish and shellfish. Special diet and vegetarian menus are available on request. Sakura: Offering oriental cuisine, this air-conditioned restaurant may also offer you special diet and vegetarian menus on request. Tanuki: Japanese restaurant (teppanyaki) located in the center of the mangrove lake. Dining hours: 06:00 pm - 11:00 pm. The “All Inclusive Features”: 7 restaurants, 7 bars, Children’s Club, Princess Tower Casino, 3 tennis courts, non-motorized water sports, 2 pools, Lancelot Discotheque, Princess Theater, fully-equipped gymnasium, Children’s Club, Teens Club Funtastic, and internal transport.